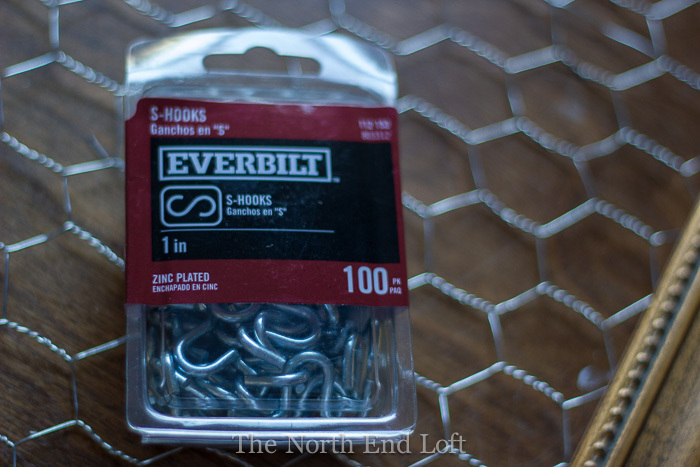 I've been doing some spring cleaning and organizing around the house lately, and I have a great DIY jewelry organizing project to share with you today. I repurposed this wood picture frame into a jewelry frame for my bedroom in less than an hour. I have a large jewelry box sitting on my bedroom dresser, but not large enough to fit all of my necklaces. 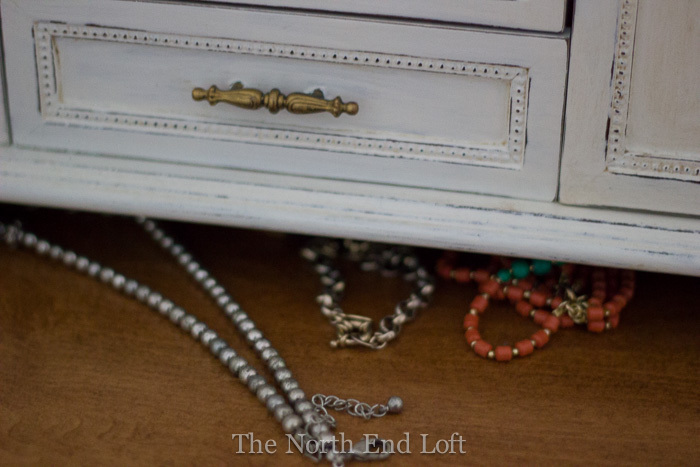 Some of the bigger necklaces ended up shoved underneath the jewelry box to keep them out of the way. Can you see them peeking out there? I would forget to wear them because they were pretty much hidden away under there. So I kept my eye out for a jewelry frame whenever I went to Home Goods. I saw cute ones there on past shopping trips, but when I needed one, there was not one in sight. When all else fails, make your own! I already had this big wood frame, but thrift stores are great places to find inexpensive frames if you don't have one at home to repurpose. My local Home Depot had small 10' x 2' x 1" rolls of chicken wire for around $6.50 (and as you can see I have some left over for other projects.) 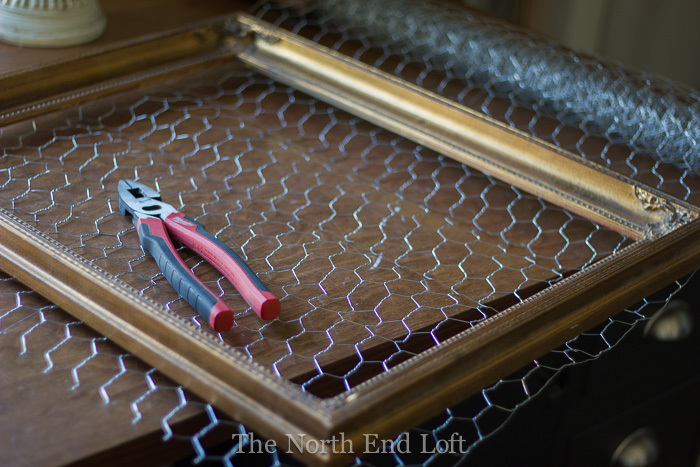 I flattened the chicken wire out on my work bench, set the frame over it and used my wire cutters to cut a piece to fit the frame. Chicken wire is stiff and sharp, so you can wear gloves to protect your fingers while working. 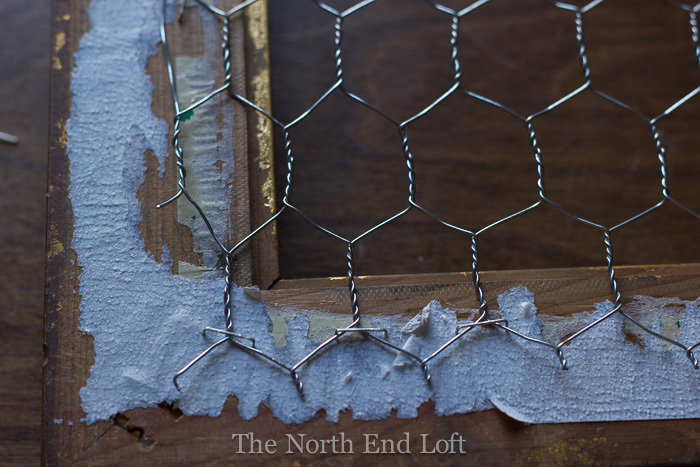 After I had the chicken wire cut, I started in the middle of one side of the frame back and used my staple gun to attach the chicken wire to it. I stretched the wire to keep the lines straight as I rotated the frame around. I shot in a couple of staples, then rotated the frame, pulled the wire straight, and shot in a couple more staples on that side, and repeated rotating and stapling until it was all straight and attached. 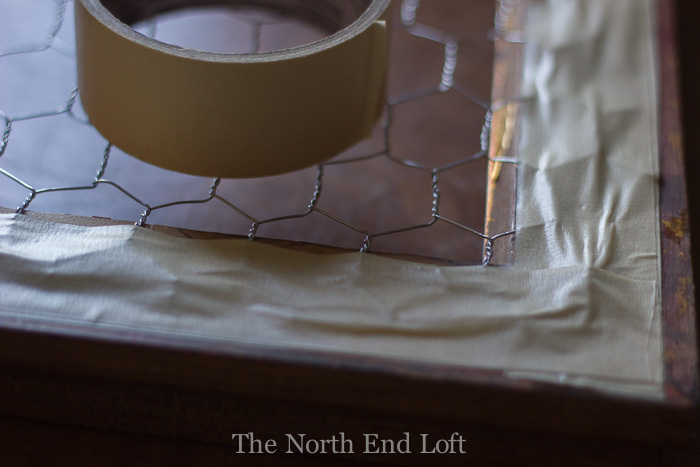 I covered the staples and sharp edges of chicken wire with a few layers of masking tape so it wouldn't scratch my wall. I used two picture hangers and hooked the chicken wire over them for attaching it to the wall. 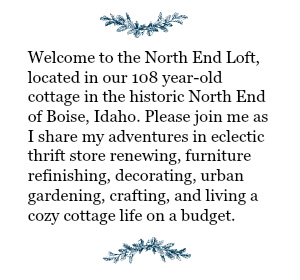 I bought some S-Hooks at the hardware store for hanging my necklaces on the chicken wire. I can take them off and move them where ever they're needed. Now I can easily reach up and remove the necklace I want. I'm wearing my necklaces more often because they're always in view as I get dressed. In fact, sometimes I pick out my necklace first before I pick my outfit! I chose to hang only necklaces on my jewelry frame, but you could also hang earrings and bracelets. I love the way the colors glow at night. My jewelry frame makes the perfect artwork for above my dresser. 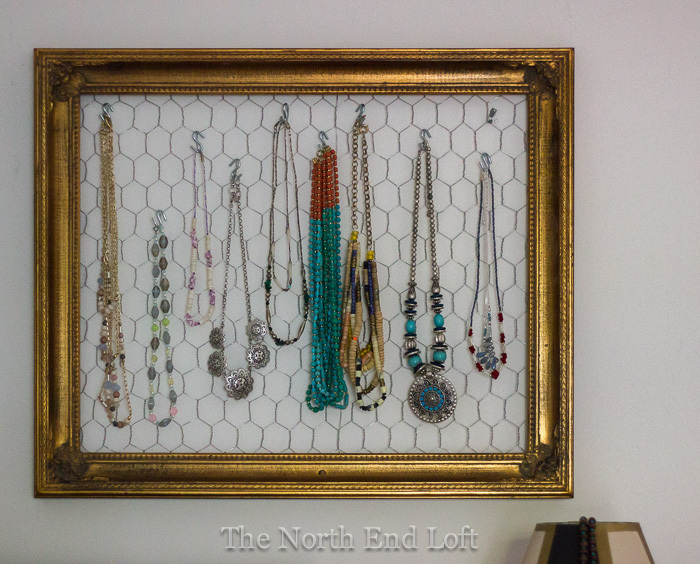 Need some jewelry organizing at your house? 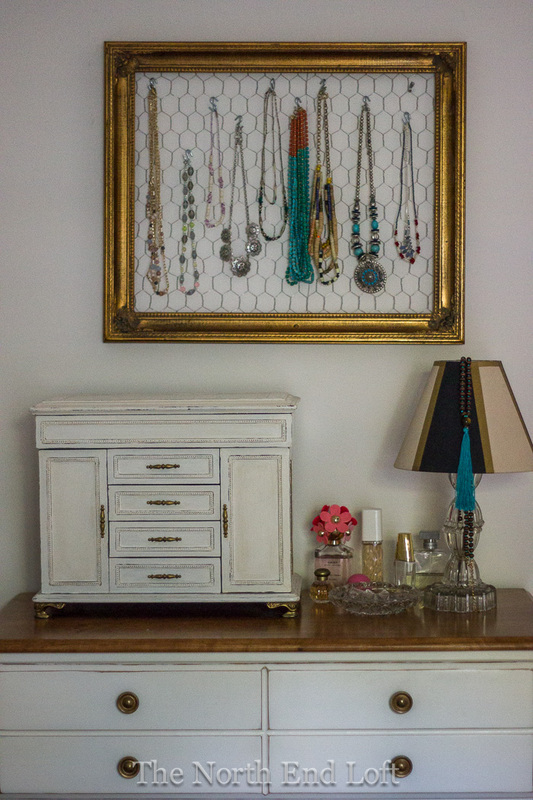 Make your own jewelry frame! Oh nice! 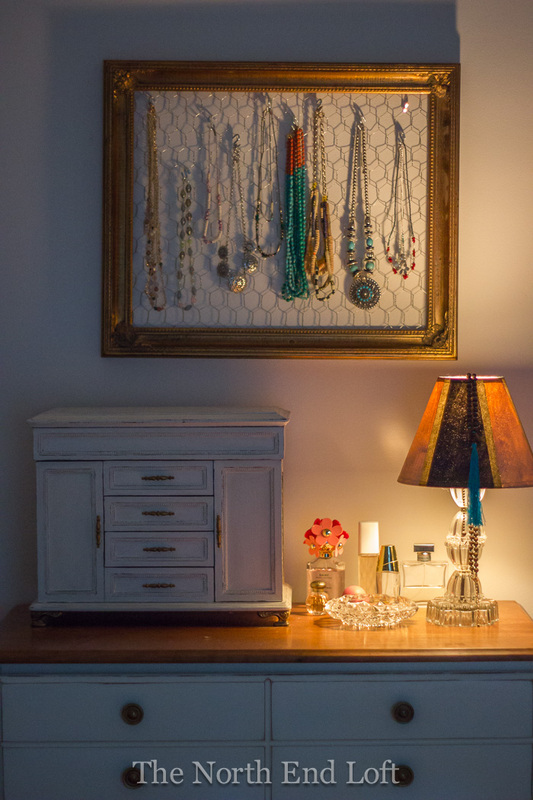 That turned out great and looks quite artsy above your jewelry box! 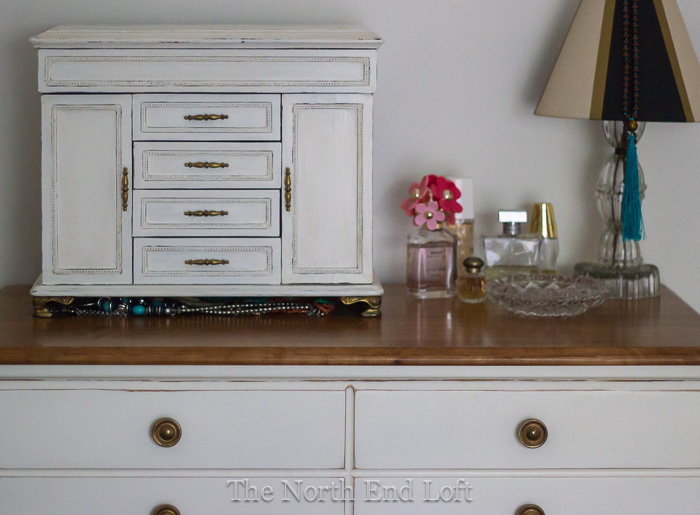 Gosh...this turned out so nice...it looks fabulous and a great place for your necklaces...I love it. 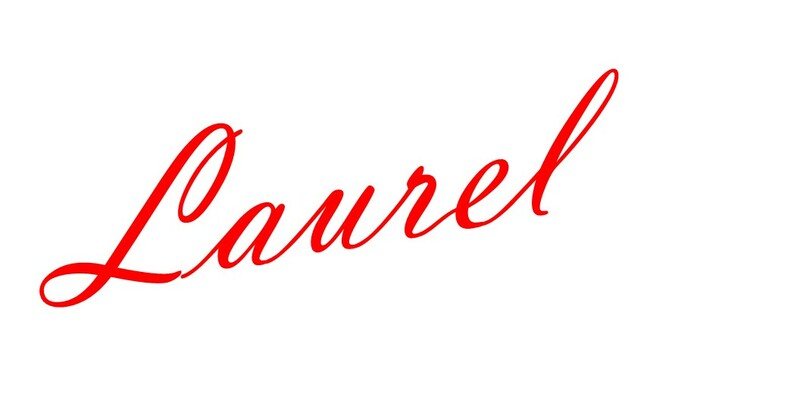 Chicken wire can be so difficult to work with Laurel. You did a fabulous job. I'm back to share your wonderful jewelry frame! Pinning! Laurel, I love your blog and want to make the jewelry holder. 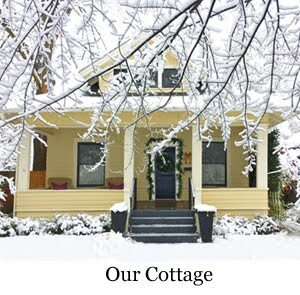 We retired, recently moved here from Colorado and will be moving into our home in a few weeks. 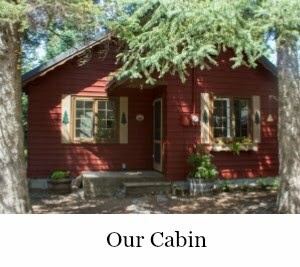 Your garden looks lovely and I hope to get many ideas from it. Can't wait to get my hands in the dirt!